With thanks to Maurice Atkinson and Jeff Birtley for providing the scans and notes. Glyn's dad Leslie is on the Black Bull Trip photo. The road in the background is Bridge Road, pictures were taken on Church Road leading from Bridge Road up to Sutton CP School gates. Glyn and I played in a group (The Flamingos). We once played at a New Years Eve dance at St Thomas's Hall. A Potted History of "The Flamingos"
I was at Sutton CP school, and in Mrs Belton's, Mr Bell's and Miss Wilson's classes I sat next to Glyn Whiteoak. We were friends, but didn't socialise out of school ---he had his own mates in Sutton and I had mine in Crosshills. I think Glyn lived in Wighill Street at the time. After Sutton, we both went to KBGS but were in different streams and we sort of lost touch. Five years went by, and in my last year at school I was travelling home on the Sutton bus when Glyn got on. I had been to Ramsbottoms and bought a record ---Glyn asked me what it was ---it was Gene Vincent's "Be-Bop-a- Lula". We got talking and found out we both liked exactly the same stuff! (Sounds like Mick Jagger meeting Keith Richards on a railway station but it's true!) He invited me down to their house (he lived at 7 Bridge Road by this time) to play records. Boy, did he have a collection!! He also had an acoustic guitar which he could play reasonably well ---I was impressed! Anyway, time passed and Glyn bought an electric guitar. He asked me down to no.7 to show me it ---he must have been practising and practising, he was really good! I bought a bass, the cheapest on the market, a Rosetti Lucky 7 which was all I could afford. We spent hours in the attic at no. 7, practising and learning. Dave Palfreyman used to come up sometimes ----he didn't play anything, he just used to enjoy it. My brother Ray used to pop in and do a few vocals, but mainly we did "Shadows" type stuff with just guitar and bass! We acquired better amplification and had to move out of the attic. We moved to a hall which ran the full length above a row of houses in Crosshills (Hall Street ---opposite the Conservative Club) I think the houses and the hall have now gone. 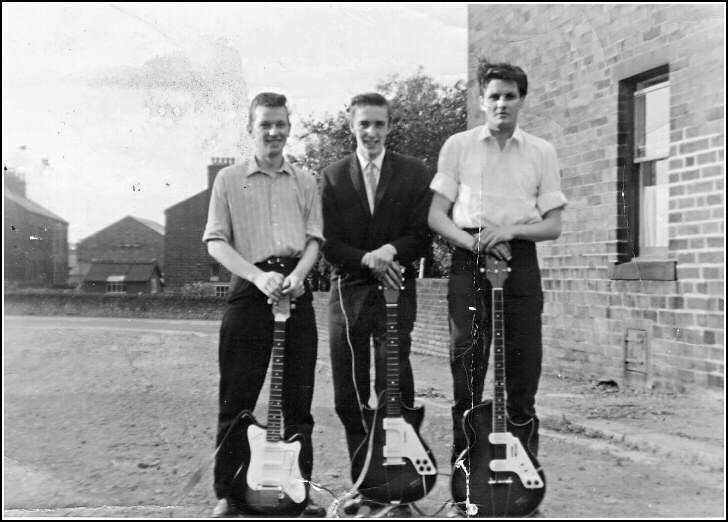 We were still a trio, guitar, bass and vocals ---we advertised for a drummer and got Colin Storton from Keighley. He served his apprenticeship with us then moved on to play for the Nomads. When we lost our drummer, vocalist Ray cobbled together a set of drums from second-hand bits and took over on drums and vocals. He was a natural on the drums. 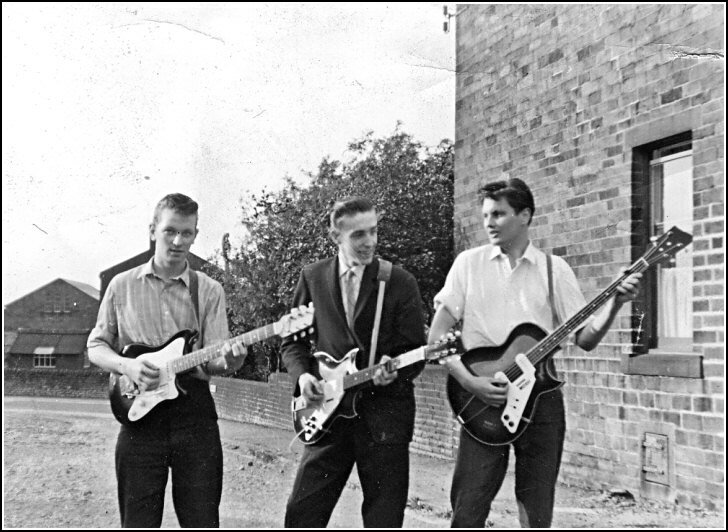 At one time we had Geoff Birtley on rhythm guitar but for some reason it didn't work out and he left. We were happier as a trio I think. We did a few gigs, our biggest problem was transport ---we didn't have any!! We used to do a regular job at Crosshills youth club ---we used to pile all our gear on a flat 4-wheeled cart and pull it along a snicket from Hall Street to South Craven School!! Those were the days! I think I was the first to pack it all in ----I never bothered playing again. Ray went on to front "Cheap 'n' Nasty" on keyboards and vocals (versatile guy!) They had a cult following around the Keighley area for a few years. Glyn ended up just playing for his own amusement as far as I know... I totally lost contact with him. Glyn died quite a few years ago, relatively young. I don't know the cause of death. I went to the funeral at Skipton crematorium. Half of Sutton appeared to be there. RAFA club Skipton ---- Dyers, Low Mill lane, Kly ----- Cycling club, Haworth ----- Crosshills WMC ---- South Craven Youth Club ---- Glusburn Gala ---- West Lane Methodists, Haworth ------ Coronation Hotel, Horton-in-Craven ------ St. Thomas's Hall Sutton. Thanks to Maurice Atkinson for triggering the memories of "The Flamingos". I will always be indebted to the experience they gave an innocent 14 year old. If I remember correctly the first gig I played with them was at the R.A.O.B club in Skipton, I was so nervous my legs were like jelly. I was in awe of Glyn on lead guitar, he was so so good. Another recollection was going with the boys to see "Cliff Richard and the Shadows" in Bradford, what a treat that was. Nearly 50 years later seeing Cliff and the Shadows re-union concert was incredible. Derek A.J. Lister is in the process of doing another book about the local bands in Bradford and surrounding areas, the Flamingos will definitely be mentioned. 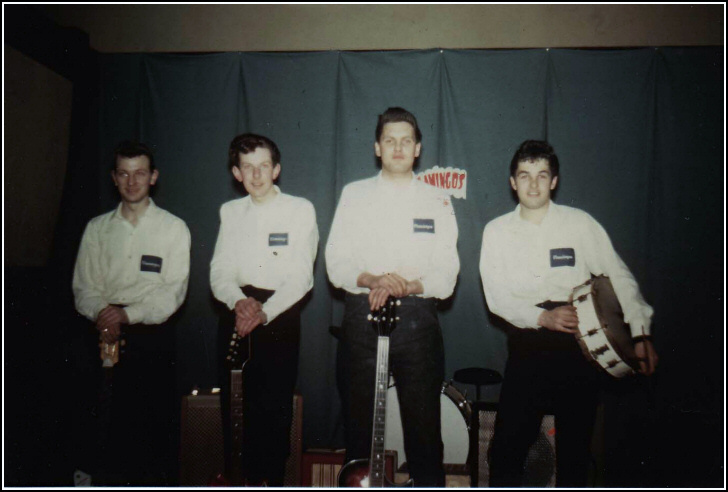 I left the band in about 1961/2 and soon after joined a band from Settle "The Dalesman". I used to catch the bus from Crosshills to Settle on the Friday and stay with one of the band till Sunday night when they dropped me off at home after the weekend gigs. 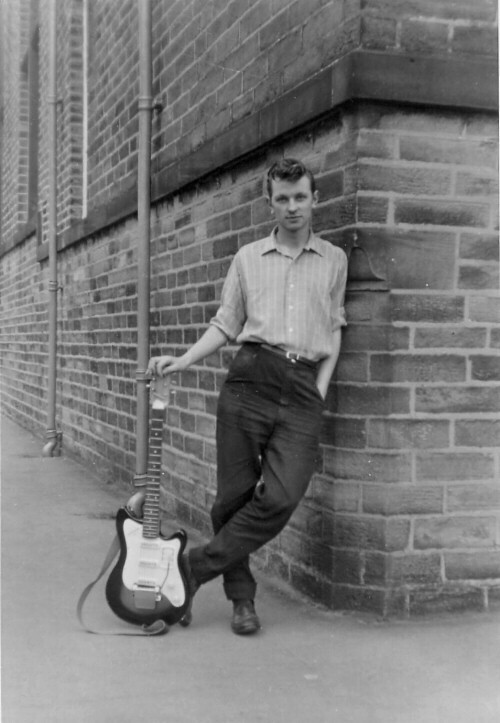 I progressed to lead guitar and vocals and played at some great places, my favourites were the Imperial Ballroom at Nelson and the Astoria Ballroom at Rawtenstall supporting all the top acts. Sharing a dressing room with Johnny Kidd and the Pirates, wow!! how good was that. Dave Beresford (Sutton lad) on bass guitar. Chris Charlesworth on rhythm guitar who later went on to write for the Melody Maker. Sandra (maiden name Winterburn) had a great voice and a lovely bubbly personality. Later we had to change our name to "The Mark Russell Four" due to a phone call from the manager of a professional outfit called "The Montanas". Among the band members over the following years was someone you'll all know, David Boddy. Dave was and still is a superb keyboard player, and still today devotes a lot of his energy as MC for the Sutton Amateurs. Did anyone go to see "Summer Holiday" at St.Thomas's Hall, Dave asked me to do all the Hank Marvin bits which I thoroughly enjoyed. 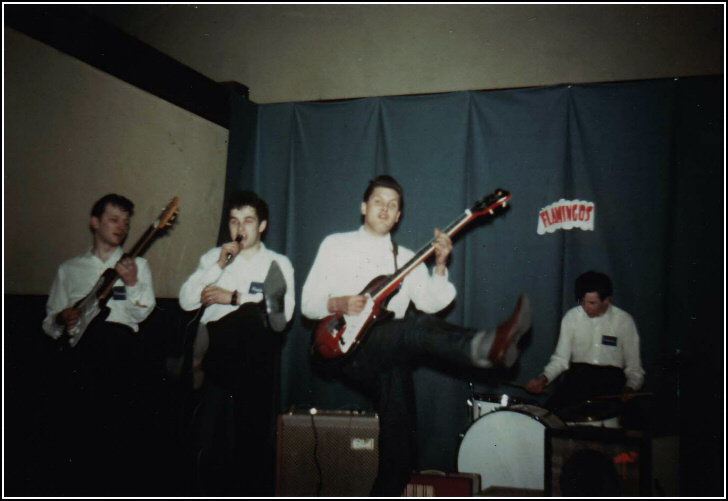 After the Mark Russell Four I left to play organ for five5 years then did the clubs as a solo act (guitar vocalist). 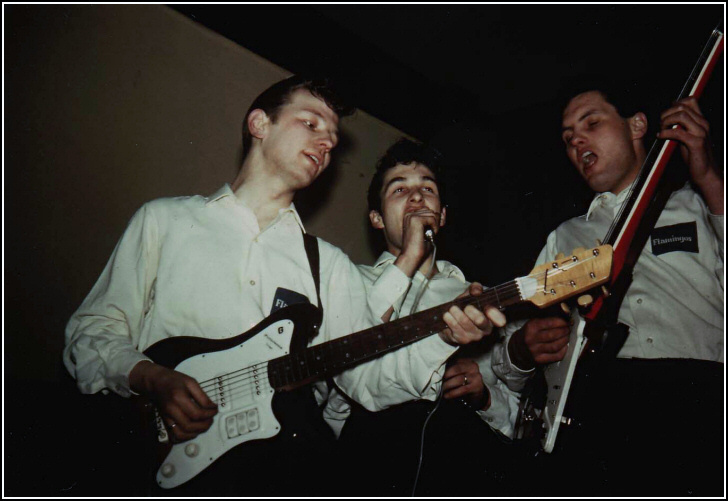 After retiring from that I was approached by a good friend of mine Brian Tordoff to join the reformed "Brian T and The Strollers" which their claim to fame was to back Ricky Valance (Tell Laura I Love Her) in the sixties. I'm still working with the band but only on a casual basis. Remember Spike (Mike Howley) from the Nomads, he plays bass guitar and vocals. Happy days and there's still life in the old dog yet ha ha. Jeff Birtley also known as Jeff Daniels. PS If anyone's interested, spot me on the photo "Mr Bell's class Sutton County Primary School 1955/56" next to Mr. Laycock. Glyn Whiteoak in the County Primary School yard, c1959.